Many Aussies have kicked off the new year with plans to get fit and healthy, but nearly nine out of 10 aren’t budgeting for their resolutions. According to research by the Commonwealth Bank, Australia’s exercisers are set to spend more than $4.7 billion on health and fitness gear, with getting fit (57 per cent), healthy (57 per cent) and losing weight (56 per cent), the top three New Year's resolutions for 2018. However, 89 per cent of Australians haven’t set a budget to meet their fitness goals. Simultaneously, only 37 per cent of Australians plan to make financial fitness their 2018 goal. “While we’re setting New Year savings goals for holidays or homes, nearly a third (30 per cent) of Aussies don’t think about how much they are spending on fitness goals; for example, 2.6 million Aussies admitted to buying sports or fitness equipment that was never used,” CBA executive general manager Clive van Horen said. "Getting financially and physically fit can easily go hand-in-hand if people keep track of spending using simple tricks like researching before committing to health and fitness memberships, class passes or costly equipment – then using online banking to track spending while using apps to track steps,” he continued. To keep on track in 2017, 20 per cent of Australians bought a fitness tracker, while 23 per cent of women found the inspiration to train online or through apps, saving trainer costs. Looking to 2018, activewear is set to be Australians’ top purchases, as nearly a fifth (18 per cent) of respondents had this on their New Year shopping list. An additional 17 per cent had trainers on their shopping list. Of the 11 per cent who set a budget for fitness, 54 per cent of them plan to use online banking to keep track. 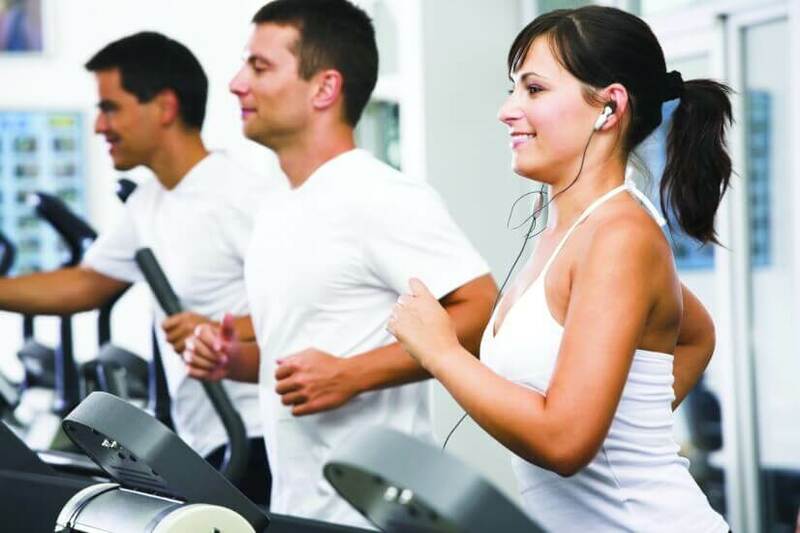 The CBA research revealed that Aussies spend $712 million monthly on health and fitness activities. That’s a $38 monthly spend for the average Australian. However, younger Australians spend more, with Gen X spending $243.4 million and Gen Y spending $189.2 million. While it comes with a hefty pricetag, more than one million health and fitness passes go unused in a year. CBA said this is a “big contributor” to failure in meeting financial goals as only 36 per cent of respondents said they feel they get “good value” out of their fitness and health spending. Mr van Horen suggested exercisers avoid declaring “too early”. Additionally, he said it’s good to remember that getting fit doesn’t need to be expensive. He suggested exercisers head out for a run, get friends together for a workout and consider downloading free apps or watch YouTube tutorials. Finally, he said Aussie’s looking to shape up in the new year don’t wear themselves out. Does Afterpay just mean Afterpain?